My husband Dan and I have two daughters, two cats, one dog, a fish tank, and two ponds in our back yard with fish, frogs and snails. 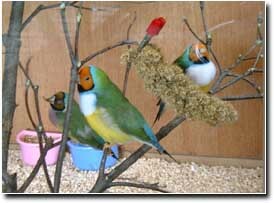 We were given 3 Lady Gouldians as a gift and needed a larger home for them. The cage we had was way too small. 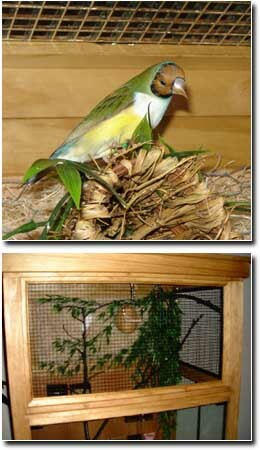 I looked into purchasing a decorative flight aviary for our home and found them to be VERY expensive. After looking on the internet for ideas, and what supplies were safe for our new additions to our home, I sat down and sketched out some plan ideas. Next, came the trip to Home Depot to purchase the supplies we'd need. There were several changes made during the construction. Over all, it took my husband and me about 2 weeks total to build this new home for our feathered friends. 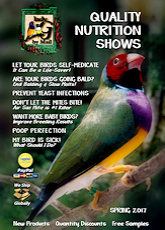 As you will see from the pictures, I put a lot of thought into the aviary. Decided the spot for the aviary, which dictated the maximum size it could be, which in our case was 5 foot tall by 3.5 feet wide by 30 inches deep. Materials we chose were pine boards, hardware cloth, chicken wire, American moss, drop ceiling light grid, 1/4 inch thick glass, magnet cabinet catches and no drill U-pulls, plexi glass and swivel casters. Ease of cleaning and refilling the American moss, which we put behind the chicken wire, were important. The upper back panel is hinged to fold out away from the aviary. The two upper side panels, were made like a picture frame and mounted permently to the frame. The hardware cloth was installed after we routed out a channel in the frame for it to sit down inside and to ensure a smooth surface with little or no ledges for food or droppings to accumulate. 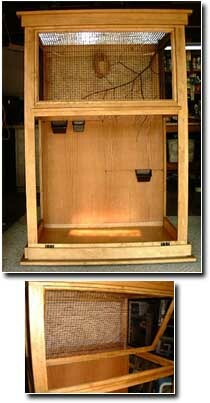 The upper front panel is also hinged to swing upward towards the top, to allow cleaning of the side panels. We put ¼ glass doors on the bottom section. One reason was for safety, since we have 2 cats and a dog. We used swing hinges for the glass, and no drill glass door pulls. 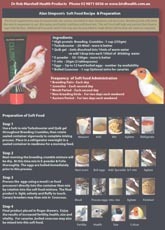 We decided to use these instead of the push latches, again for safety of our birds. 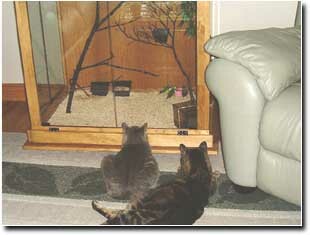 Our cats are pretty smart and would eventually figure out how to push on the latch and open the cage. Instead, we mounted the magnet catches at the top of the glass doors and used pull handles. The back panel of the cage is a higher quality oak plywood. To separate the upper section from the bottom section, while I clean the pan and glass doors. I routed out a slot... just thick enough to slide a piece of 1/4 inch plywood in and lock the birds in the top half while the bottom half is being cleaned and visa versa. The slot is located at the same height as the pack panel. When the board is inserted, it rests between the upper and lower panels and is supported by the oak plywood. When not in use. I used a piece of corner molding, L-shaped, as a filler. The bottom of the cage is covered by a plexi glass pan I made to slide in through a door on the front of the cage. It works well for those weekly cleanings of the bottom. We decided to use the ground up corn cobs as the bottom material. 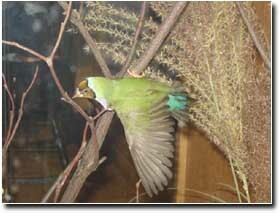 It's scoupable, and they seem to like rooting around in it on the bottom, especially after they have their millet and seem to drop some of their seeds. We then cut branches from a neighbors� dogwood and cherry trees. Since the one branch was too large for us to bake in the oven, the weather gave us a hand. We had 3 days of 94+ F degree weather, with very high UV warnings. We put a thermometer on the driveway where we placed the branch. with the sun baking down onto it. It was the same as putting it in the oven at 200 degrees. We baked the other 2 in the oven and let the sun do its job, we then sealed the branches with water based urethane. 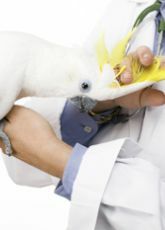 We found out from the pet store it would be safe for the birds. Decorating the inside of it and trying to make it look as close to being outdoors as possible. We decided on fake greenery for ease of cleaning. For now, we have their food dishes and water on the bottom. Originally I had mounted a dowel rod on the back panel at 2 different heights and on opposite sides of the back. But, they seemed to like them better on the bottom, so we moved them. Eventually, they were comfortable with having them both on the bottom and hung up and out of the way. The top of the cage we used the drop ceiling light panel that has 1/4 open squares, which goes well with the hardware cloth used for the upper half. We decided to router out the wood frame, so the panel could drop down inside and we could use some storm door clips to hold it in place, again for safety. We placed a full spectrum light on the top of the panel to make sure they can get their lighting requirements. The inside of the house, fully furnished, and inhabited by the newest additions to the family. Two Stalkers - they don't bother the birds at all! We are now working on a water fall for them. They sure enjoy splashing around in their water dish. We hope they'll enjoy the water fall just as much and maybe � just maybe.... leave their water dish for drinking. Our three trouble makers, Ms. Peepers, Spaz and Stubby. We enjoy just sitting and watching them. They each have their own personality. We are considering adding another girl, but until then, we are very happy with these 3! One of our Gouldians wasn't doing so well, so I took him into the vet, and he suggested that we get him a "friend" not necessarily another Gouldian, but another female finch. 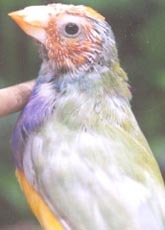 We looked high and low for another Gouldian, but had no luck finding a single female finch. Most were for sale as a set. So, we added a fawn zebra finch. They really didn't hit it off as well as we had hoped. Our good friend, who started this whole affair, he sent us home with one of his females. Stubby is now doing great along with his new best friend Gabby. We look forward to the time they mate and have babies. Zoey, our Fawn finch and one of the newest additions, Gabby. Hope you enjoyed our experience as much as we do daily.